Paint it with chalkboard pain, let it dry and then paint it again. 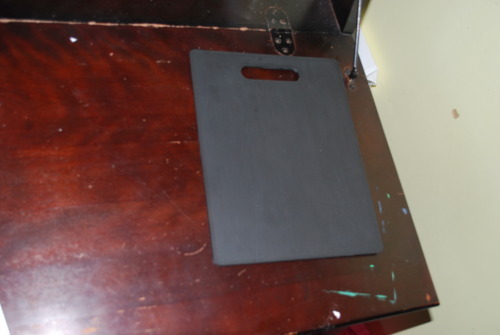 The paint is really thick so I had to sand it at the end and wipe it down again, to make it as smooth as possible. On your computer decide on a font and type the name or words your want on your board. I would suggest a simple font, because you will have to cut it out!. 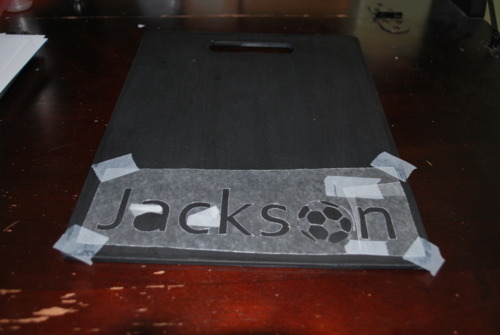 I changed the O in Jackson to a soccer ball using a template I found online. 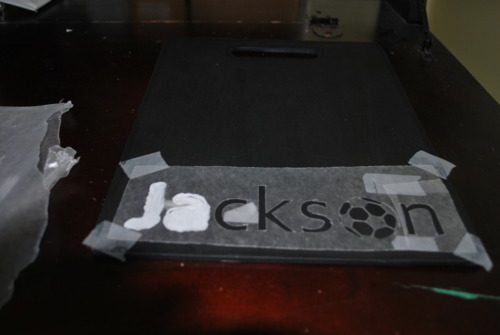 Use spray adhesive or plain old tape to stick a piece of wax paper on top of your template. 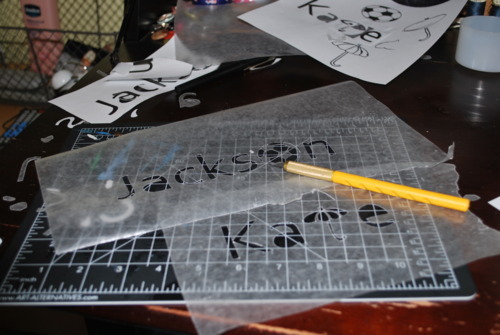 Use that spray adhesive or tape again to very carefully stick down the letters. I used a lot of tape here, and its better to have to much then to little I think. Take your paint (I used white to make it pop but you could use any colour!) 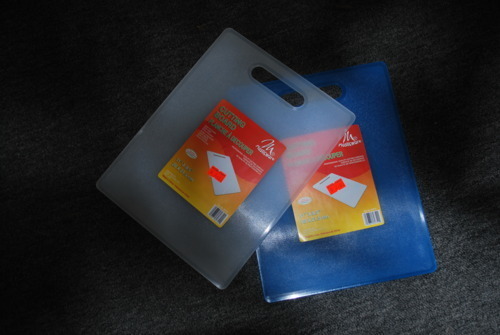 and brush it onto your template. 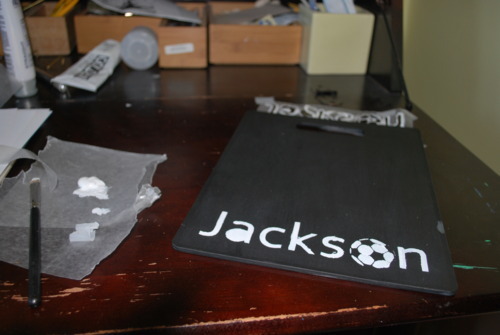 Let your paint dry completely then peel back the stencil. I had a few smudged parts so I just did a little fix up with some more chalkboard paint, but if you are more careful then me then you won’t have to! 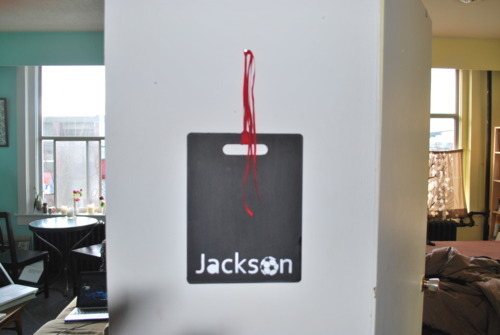 Allow to dry completely and then hang it up and start using it!